Dr. Bill Harrington is honored to be the Music Director and Conductor for YOSAC’s Concert Orchestra and Symphony Orchestra. Dr. Bill Harrington is a longtime music educator and professional French horn player in the Bay Area. Dr. Harrington graduated with a four-year full scholarship from the San Francisco Conservatory of Music and holds an M.A. in Music from California State University, East Bay, along with a California Lifetime Teaching Credential in Music. He graduated from Boston University with a Doctorate in Music Education. 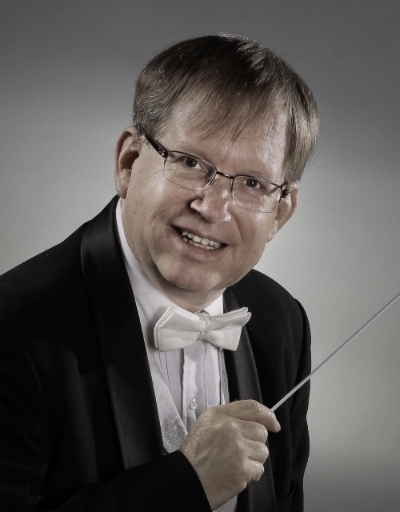 As a music educator, Dr. Harrington is Past President of the California Orchestra Directors Association (CODA), Music Director at Patten Academy and Minister of Music at Christian Cathedral. He is also an Adjunct Lecturer at Columbia College (Coast Guard Island) and Cal State University East Bay, where he teaches classes in music education, music appreciation, music theory and American music. As a professional musician, Dr. Harrington has performed on the French horn with virtually every professional orchestra in the greater Bay Area. He currently plays with the Modesto Symphony, the Brassworks of San Francisco Brass Quintet and Band, and most recently, with the Fremont Symphony and the Lamplighters Operetta Company.